Photos by Hailey Blog: Free Target and Starbucks! Do you want to score 2 gift cards? Here is your chance! 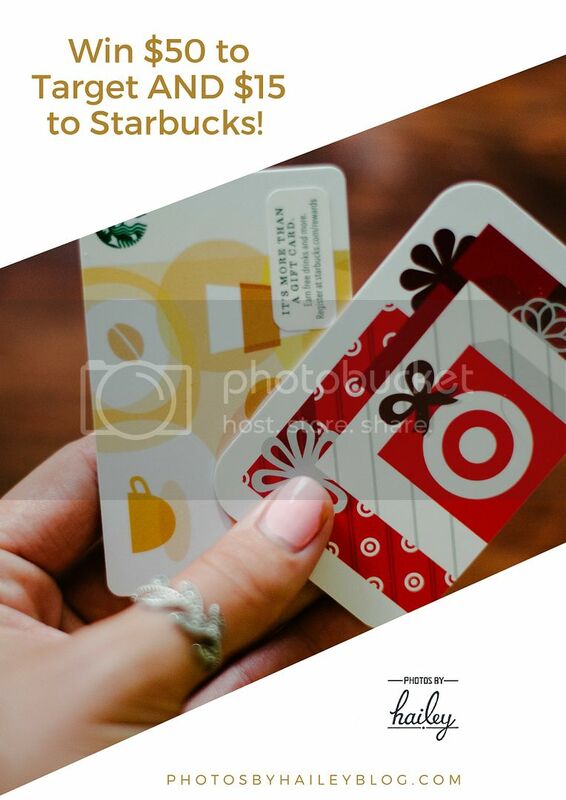 One of you will be given a $50 gift card to Target AND a $15 gift card to Starbucks! I'm doing some "re-thinking" with my business, and really need some input and help to keep myself on track. I thought a survey would be a great way to get you involved! I'm a normal human though...I don't like taking surveys unless there's a chance of a prize at the end of it. So, I thought of two of my favorite places and how I wouldn't mind going on a spending spree at either of them. I know I'm not the only Target and Starbucks fan out there so I decided gift cards would be a pretty great reward for your time and help! I mean everyone walks into Target and finds something they need...including a Starbucks drink at the front of the store! So, could you help me out by taking a few minutes to take this survey? There are just 20 quick questions and most of them are multiple choice (my favorite)! One winner will be chosen at random and will receive the gift cards! - Post this picture on your Instagram and tag @photosbyhailey. - Post this picture on your Facebook wall and tag @Photos By Hailey.